This is Plaubel Makina 67's Light Seals foam (gasket sponge) replace kit. This kit is for rather Experienced people, not for beginers. You need to disassemble rear door. Click above image for enlarge. Please apply underneath layer seals on rear door rails first, then apply over layer seal. 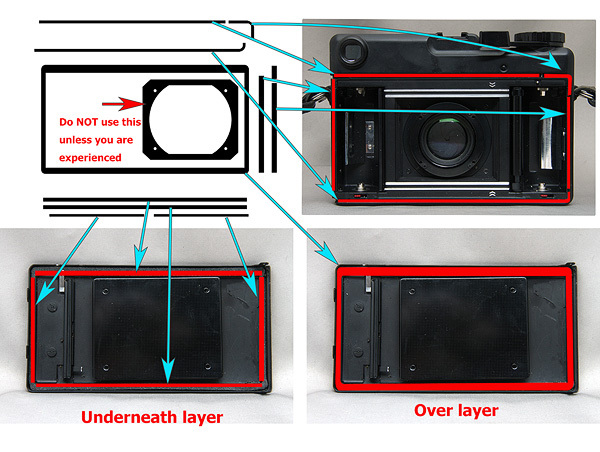 Please do not use seal around the lens unless you are very familiar with Makina repair. 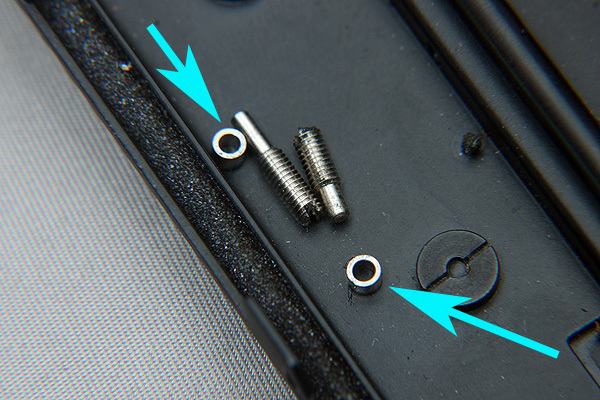 When you disassemble rear door, please pay your hightest attention for above 2 hinge parts. They are extremely easy to be Lost. 2 kits in 1 set. You could replace 2 x Makina 67 light seals. The seals are glued back.